July 17, 2011 – On originalism. | What I got rid of today. ← July 16, 2011 – Glued to the set. Ah – the unexpected Star Wars RID. I, like most people in my age group, loved the original. And yes, Empire? Clearly the best of the series. So, it makes sense that I’d want to own these movies, and share them with others. The problem? 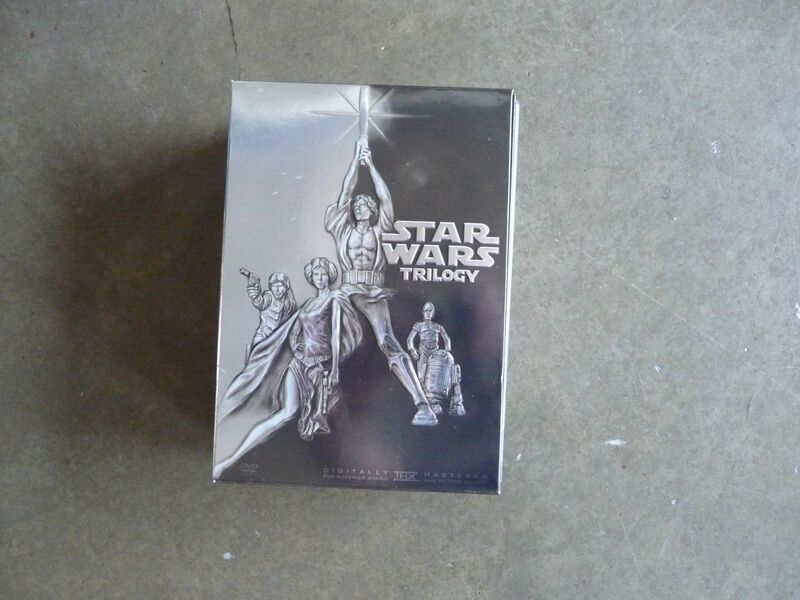 This boxed set includes the “improvements” Lucas made to the films. And I’m sorry…they’re not improvements. Neither (of course) was Episode I. So, today I RID the original trilogy…that isn’t the original. And preserve the great memories of my childhood in the process.